This level has medium difficulty. 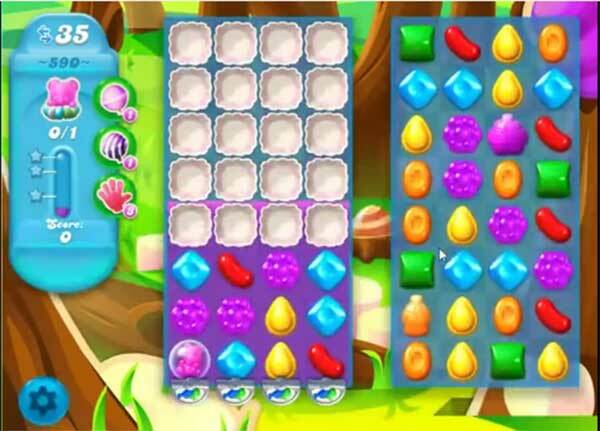 For this level try to play from the left part of the board and make striped candy. Combine striped candy with other special candy to break more blockers that are in right part of the board. Or above the soda to break the blockers and take bear to the top. You can’t pass 590 soda crush it’s not enough move and it’s moving very slowly the game really cheats so terribly what IS rone why can’t pass stop cheating.